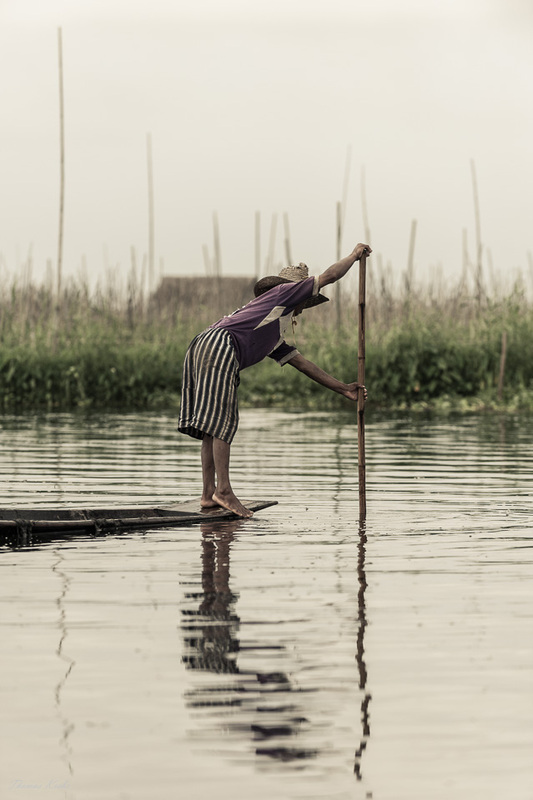 Another shot from Inle showing a one leg rower. I find it fascinating how they work and move on their boat without falling into the water. What I personally like about that shot is the stick which repeats in the background. Nice to see someone use the same theme as mine. Your site looks cool. Wonderfully composed shot, reminds me of something one would see in National Geographic magazine. Great capture. Very appealing photograph, Tom! Love all the vertical lines including those of the striped pants.